Sofie Laguna is a writer who can wrench beauty even from the horror of a child caught up in the toxic world of bastardised masculinity. Fearsome, vivid and raw, her third novel for adults chronicles a young girl’s reckoning with this violent world in early 1970s Australia. Abandoned by her mother and irregularly visited by her criminal father, Justine is raised solely by her grandfather, who is debilitated by memories of the Burma Railway and unqualified to nurture a child. With an assortment of crude, violent men as her mentors, Justine struggles to make sense of the world and find her place in it. Her only sanctuary is the Choke, a place of immense natural beauty on the banks of the Murray River. But when her father reappears, with an act of shocking violence, the ramifications have a devastating impact on Justine’s adolescence. 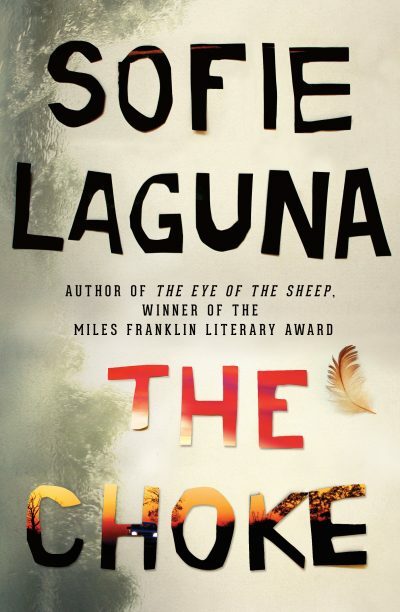 Laguna, who won the 2015 Miles Franklin Literary Award for The Eye of the Sheep, masterfully denies a resolution for Justine’s problems, leaving the reader lingering in her experience. The Choke is emotionally intense, deeply engaging and quietly haunting.